A STEAL OF A DEAL FOR THIS BUILDING ON QUEENS HIGHWAY. 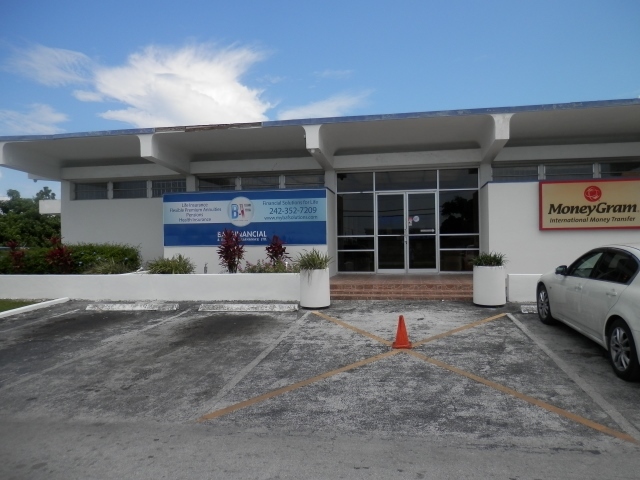 This building is located on the main road There is ample parking in the front side and the rear. This Building is well built and was used as a bank and multiservice business center. Currently, it houses BAF Financial Services. The building has 3 Vaults, 2 Kitchens 2 Conference Rooms 110 offices and 2 Lobbies and the interior can be renovated to accommodate other business needs. it has a backup generator in case of power outages ample office space that even two companies can operate under the same roof. Literally, 2 minutes from the Airport, 7 Minutes downtown and 10 Minutes to the Harbor, and Container Port this is a prime location and a great value!